A small stock of the original Cinelli Spinaci handlebar extensions were recently discovered hidden away in the Cinelli archives. 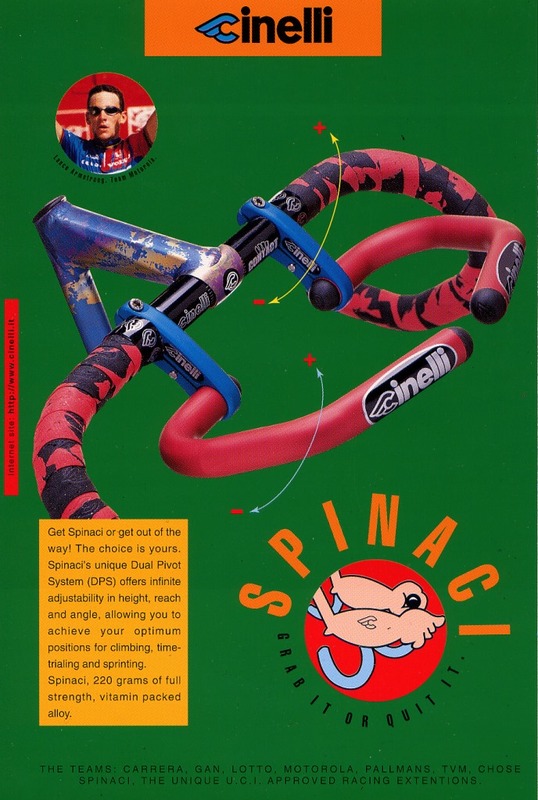 The Cinelli Spinaci took the professional cycling world by storm during the mid 1990s until they were suddenly banned from UCI races on October 26th 1997. From the book Cinelli: The Art and Design of the Bicycle by Lodovico Pignatti Morano “Almost everybody in the cycling world is familiar with the demise of the Cinelli Spinaci at the hands of the frantic UCI dealing with the fallout from a particularly dangerous Tour course route in 1997. 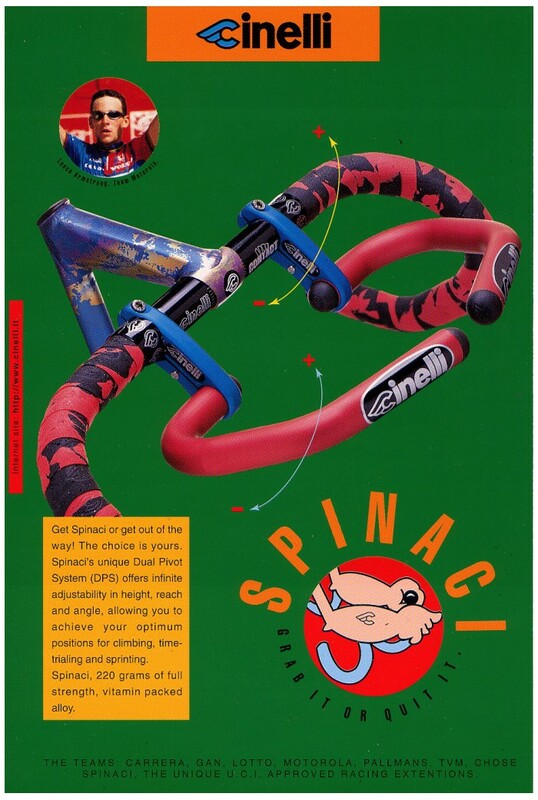 Fewer remember how widespread and influential the Spinaci’s use had been until then.” The Spinaci were originally developed in 1994 at the request of Antonio Fusi, the Italian Under-23 Cycling Team’s head coach. 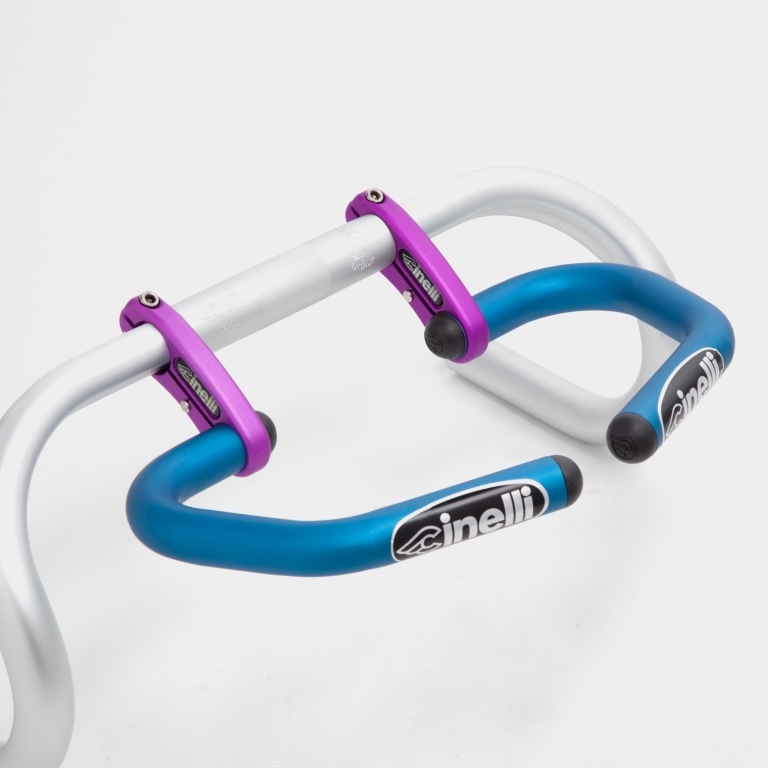 The bar extensions were aimed at providing ergonomic support for relaxing stressed muscles and adopt a more aerodynamic position during long non-technical uphill sections. 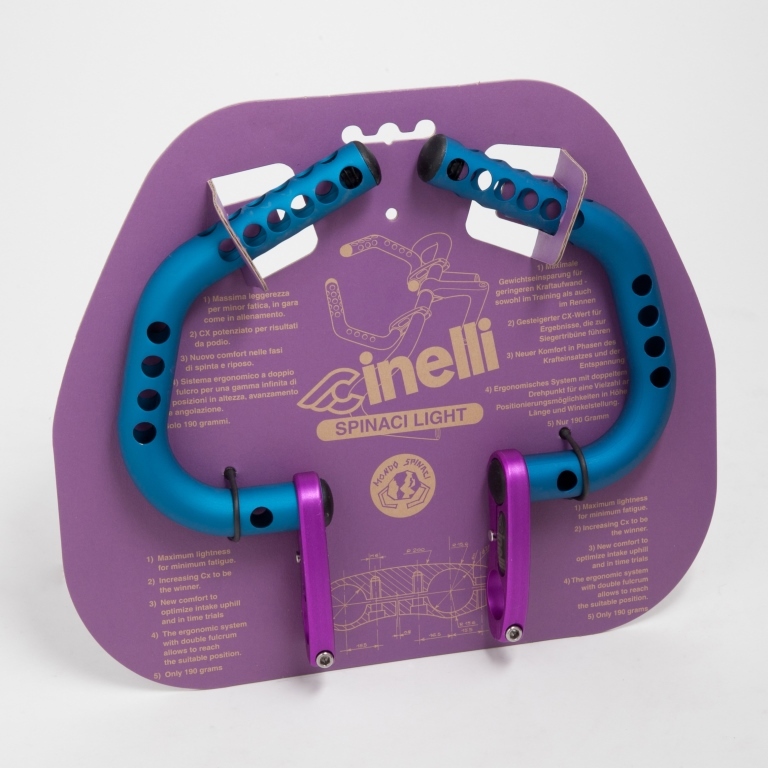 Under the direction of Cinelli Product Manager Luciano Fusar Poli the final shape and design of the Spinaci was developed over a period of collaboration with Claudio Chiappucci and Marco Pantani (Both members of the Cinelli sponsored "Carrera" team). 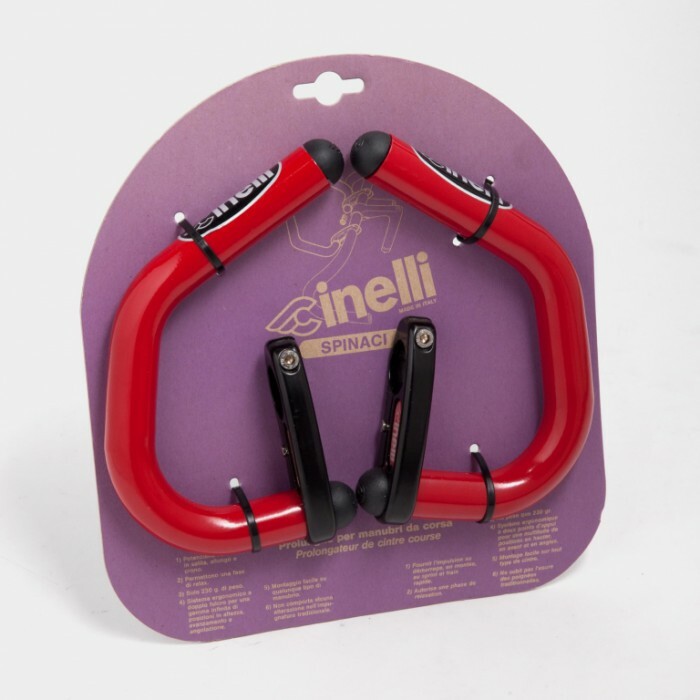 The widespread adoption in the pro peloton would take hold seemingly overnight, at the start of the 1996 Tour de France around 70 percent of the riders with Cinelli Spinaci or replicas by rival component manufacturers. 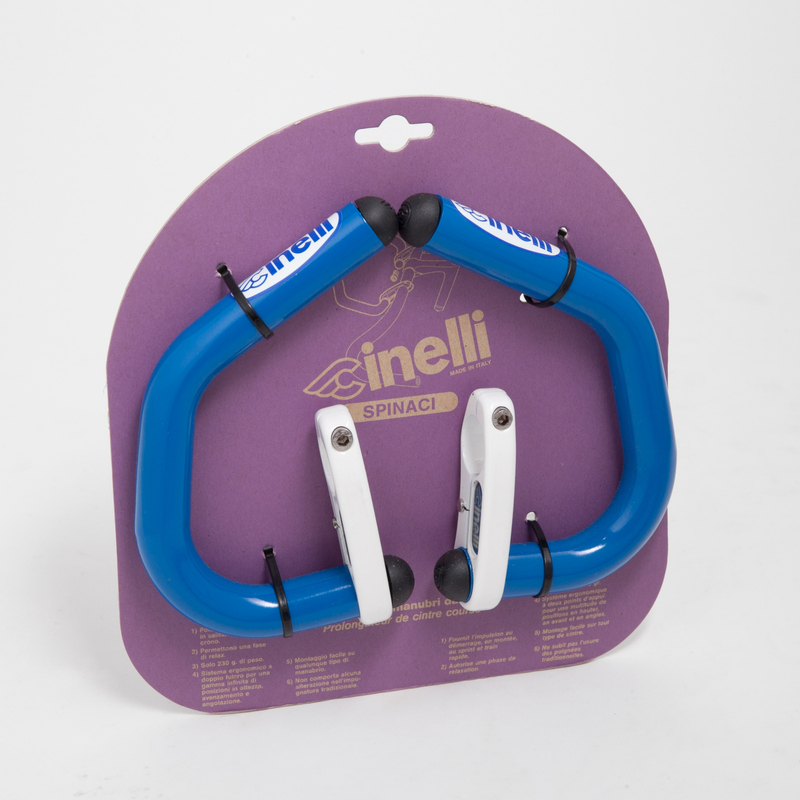 During a recent renovation of the Cinelli warehouse a small amount of original Cinelli Spinaci were found and are now available for purchase. 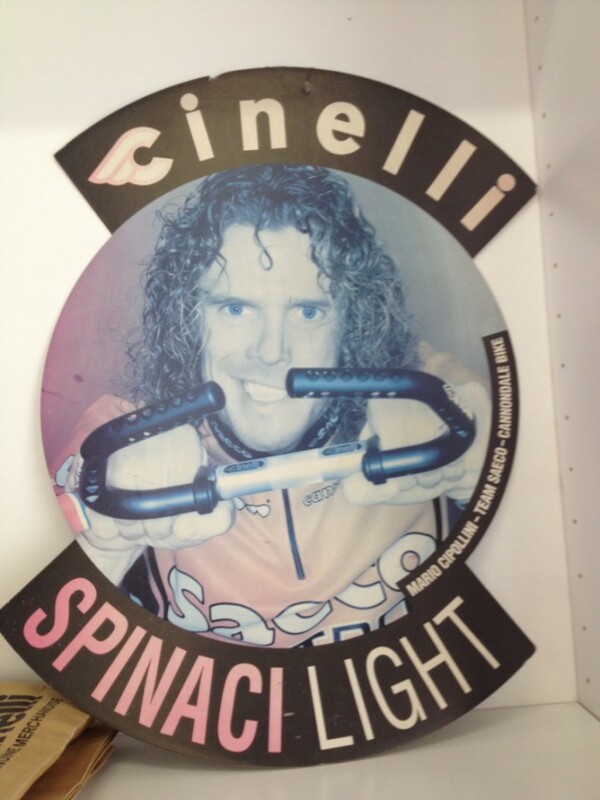 This is a true piece of cycling history that, once gone, will not be reproduced.